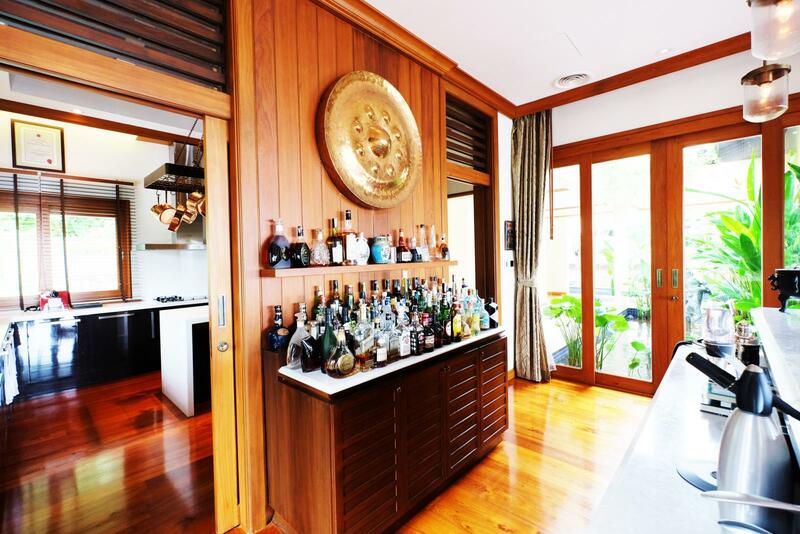 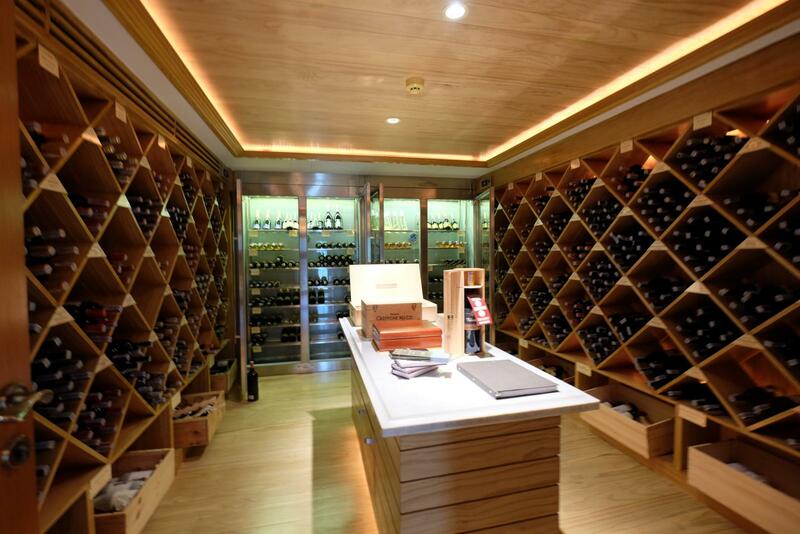 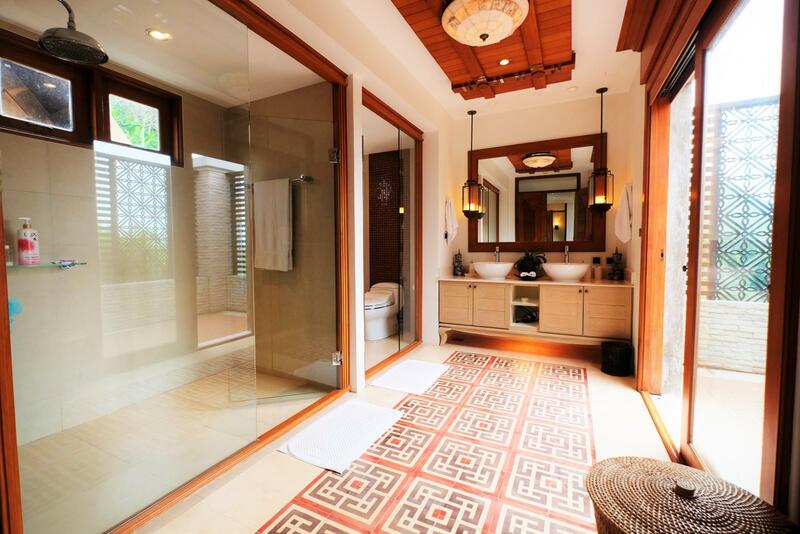 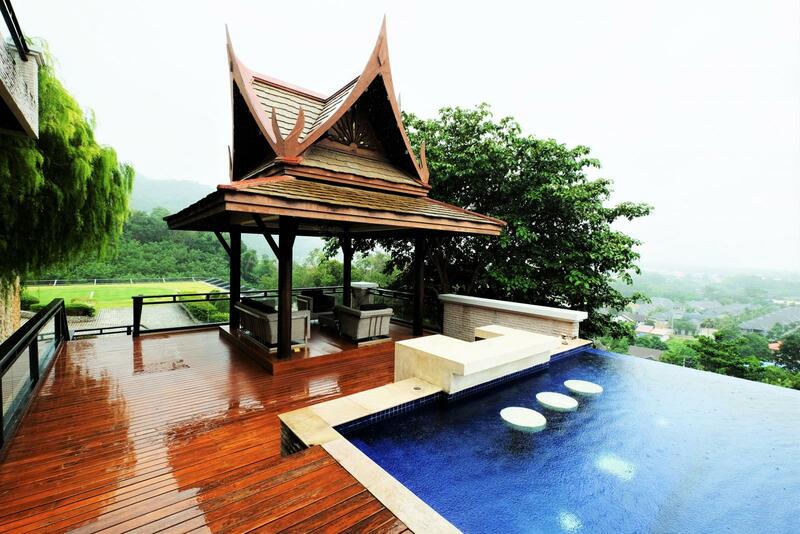 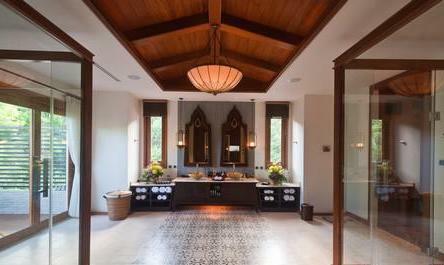 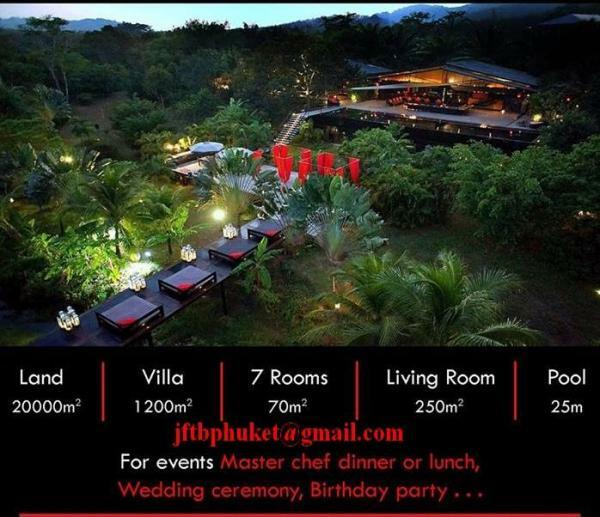 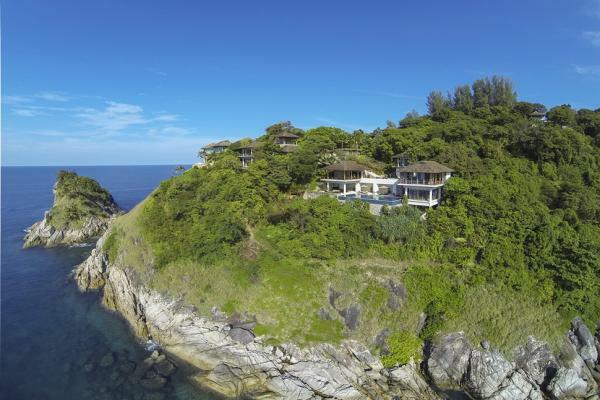 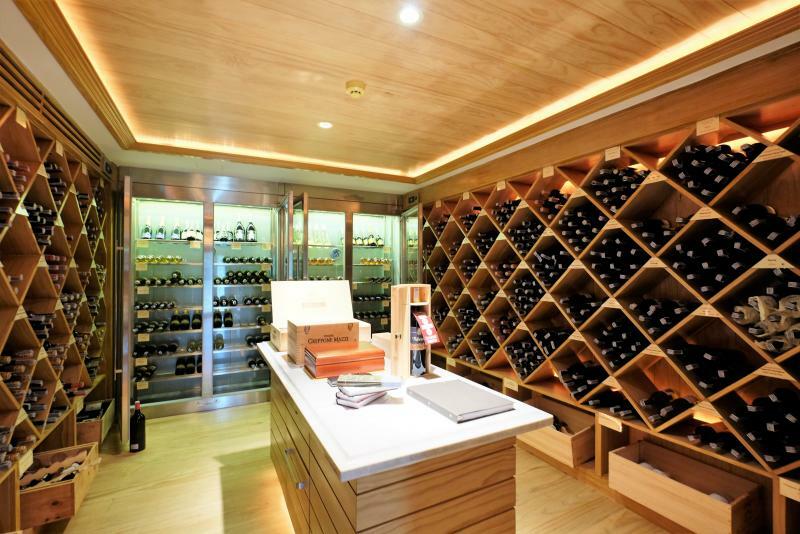 Discover the treasures of one of Phuket’s true luxury gems, this is one of the most exclusive properties of Phuket . 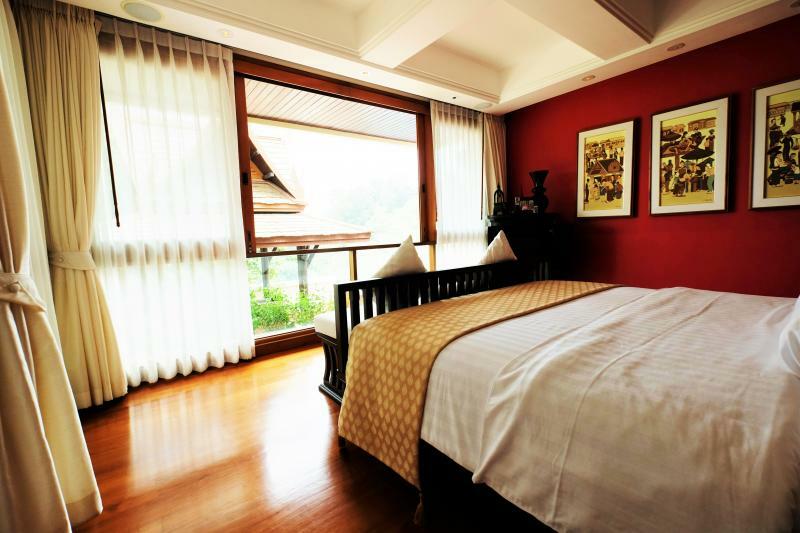 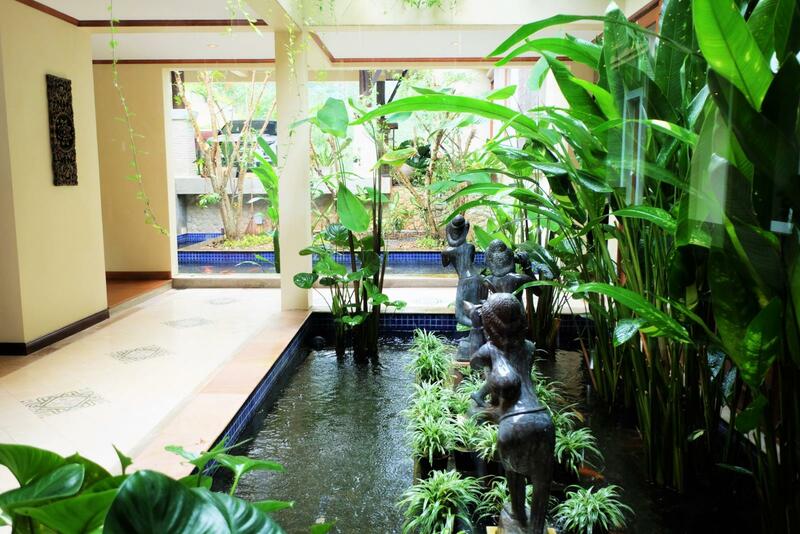 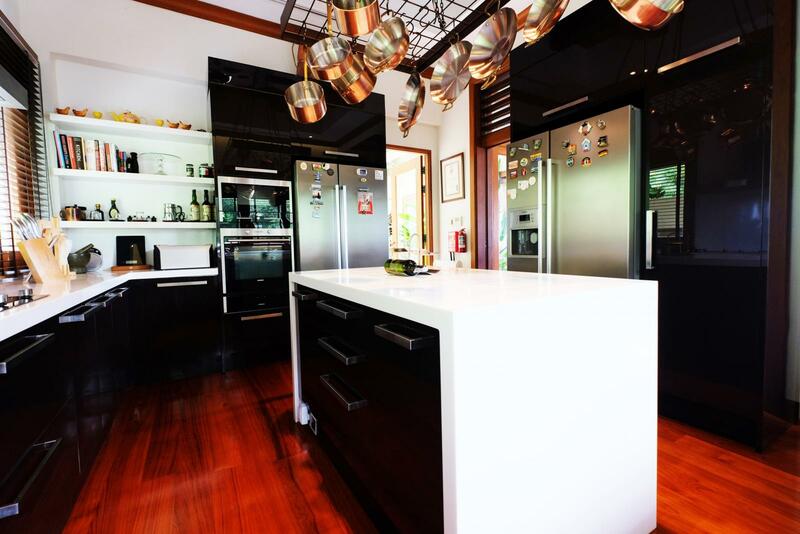 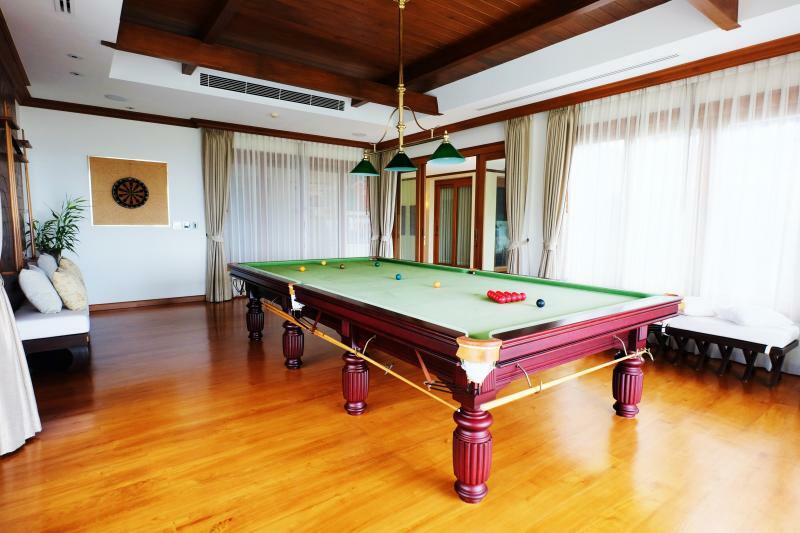 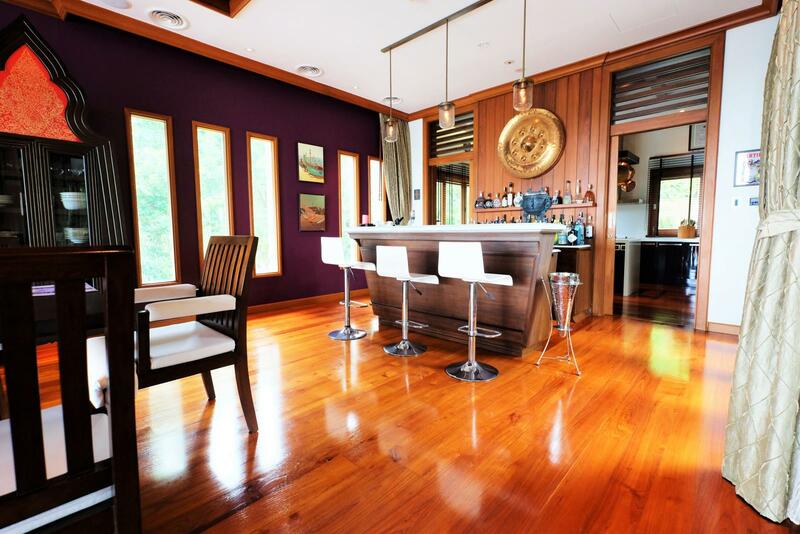 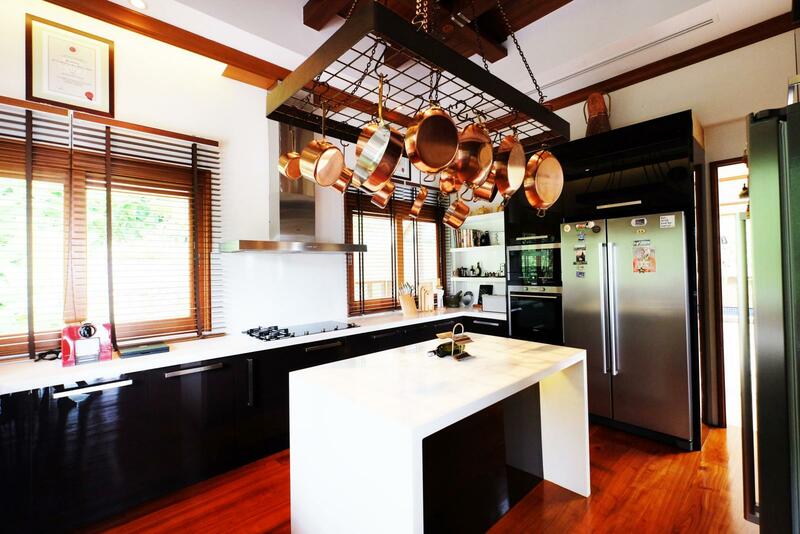 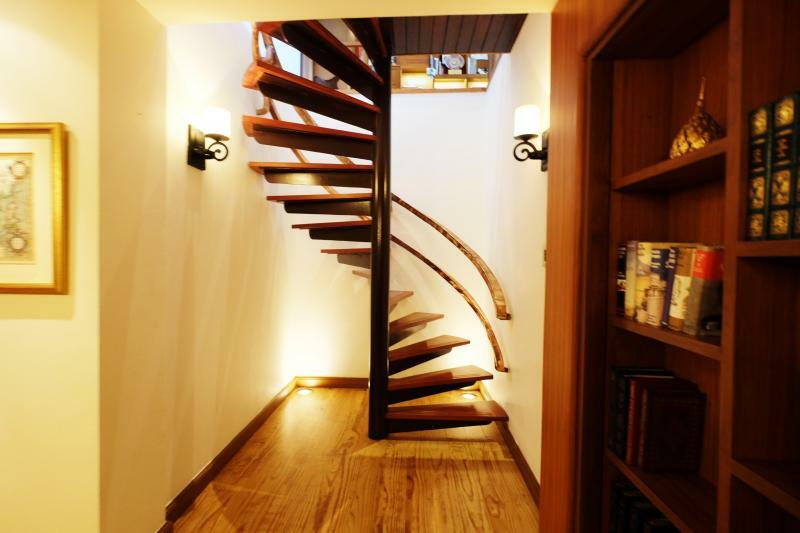 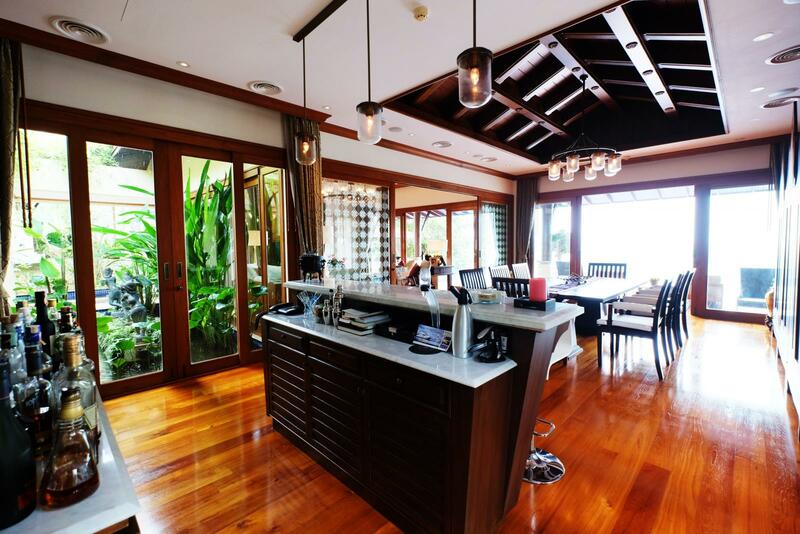 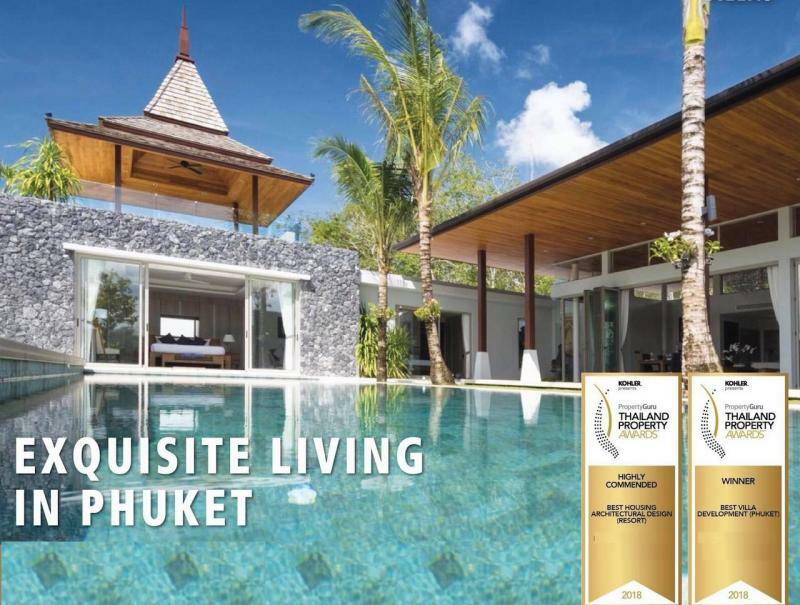 "This home has the best engineering and construction quality in Phuket." 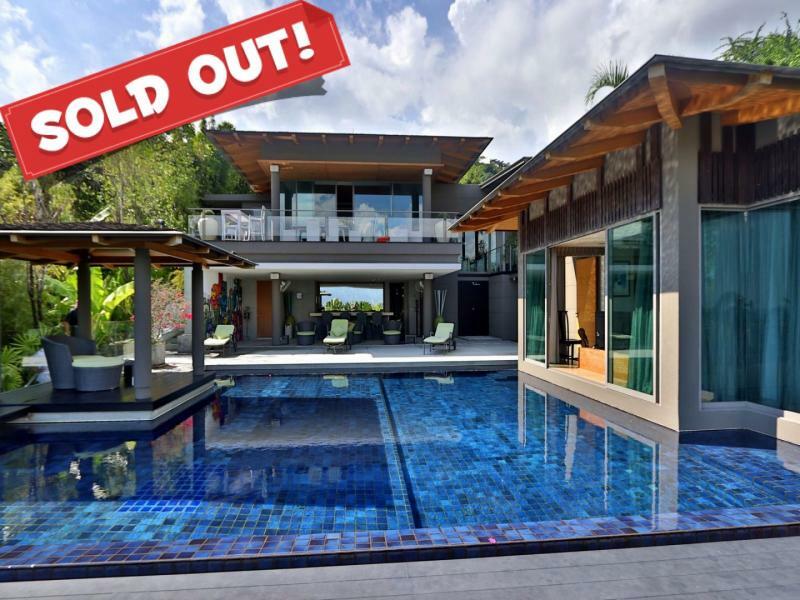 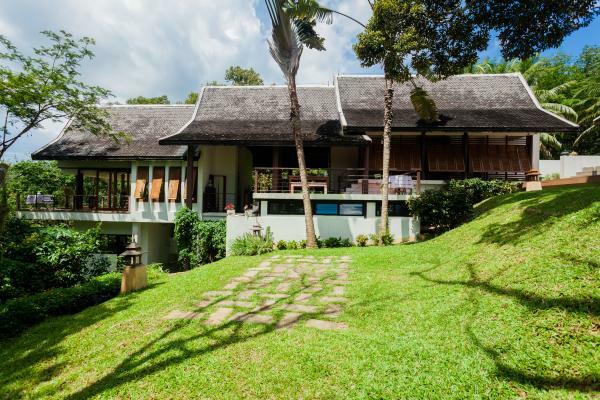 JFTB Phuket Real Estate is pleased to offer, exclusively, this uncredible Top Luxury Villa is nestled on a private and secured hillside of Nai Harn/Rawai, surrounded by tropical jungle and with deep views to the Sea. 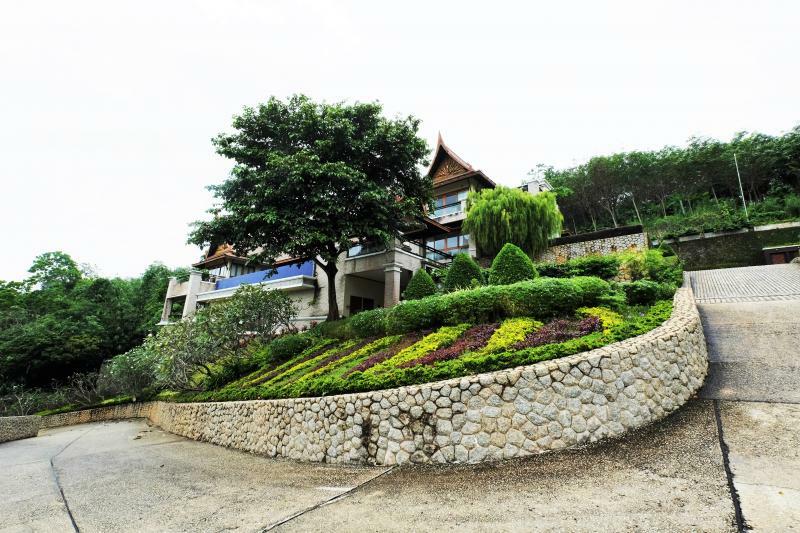 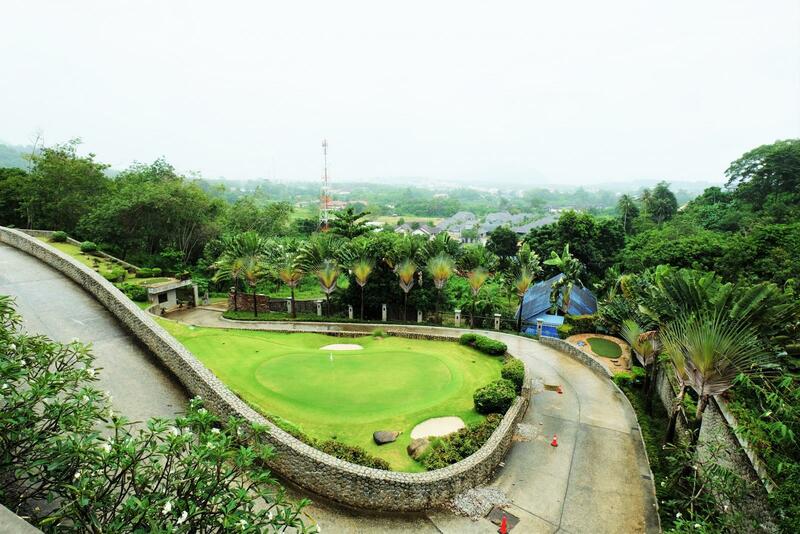 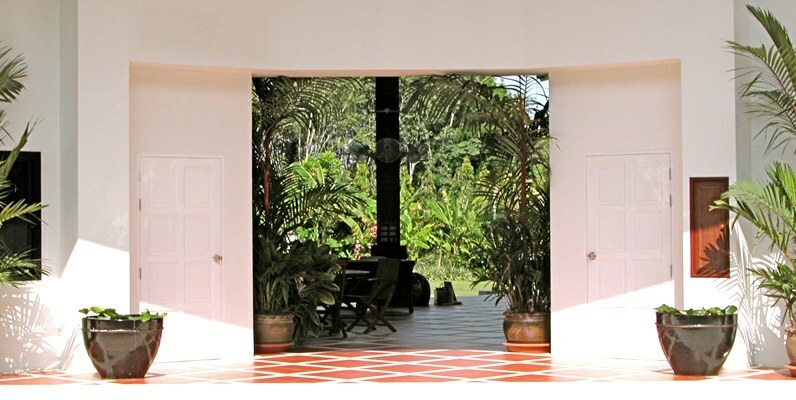 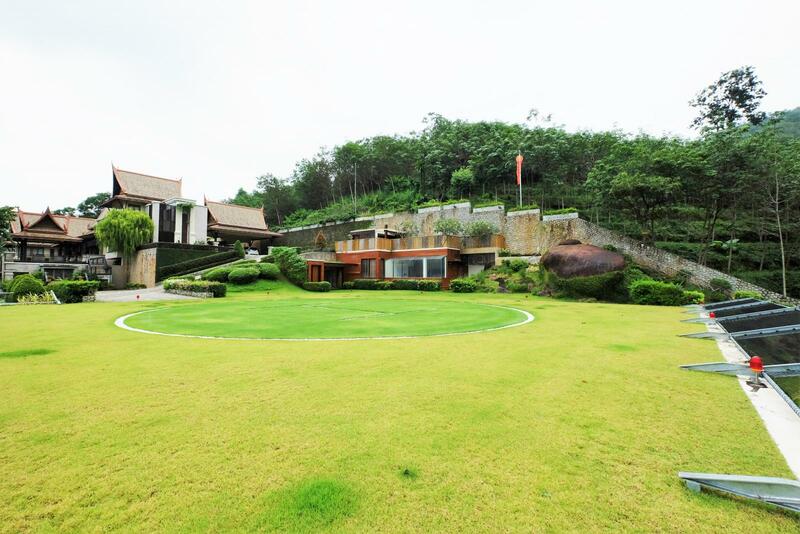 An amazing landscaped garden with a paved road and stoned walls leading up to the house. 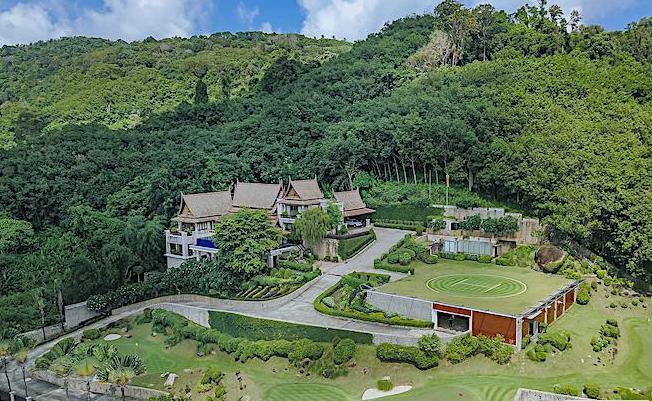 This villa is setting on a land of 6800 m2 offering a helicopter pad, golf course, tennis court, guard house providing a high level of security 24/7 with Cctv, car checking...The villa has also a panic room and a secret exit. 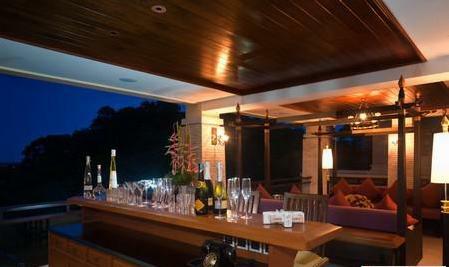 The living area is 1355 m2 with stunning panoramic sea view from all the main parts. 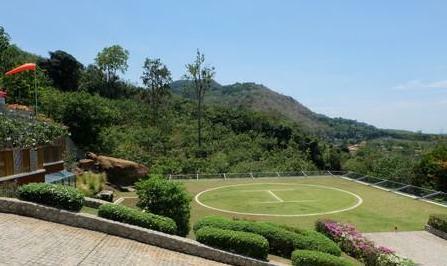 This villa has 5 bedrooms with huge ensuite-bathrooms and stunning panorama. 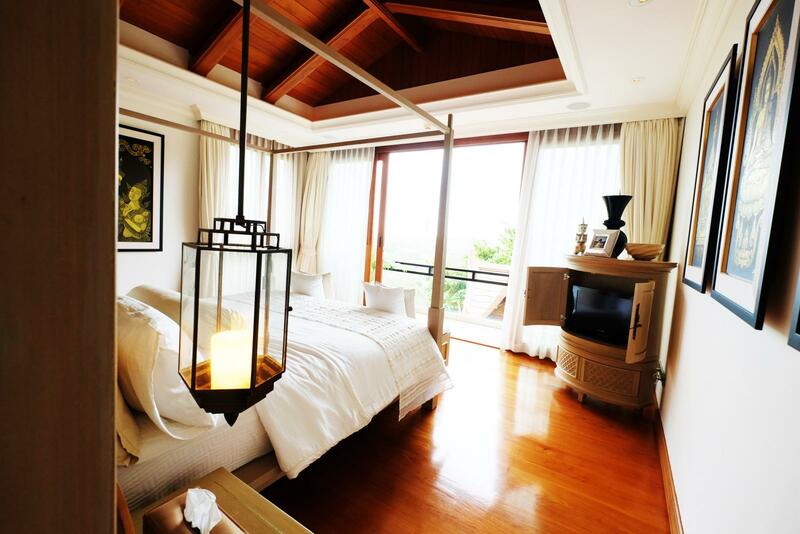 The master bedroom has also a dressing room. 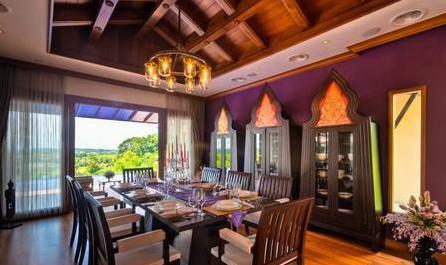 (The villa can be easily converted to a 8 bedroom villa as needed). 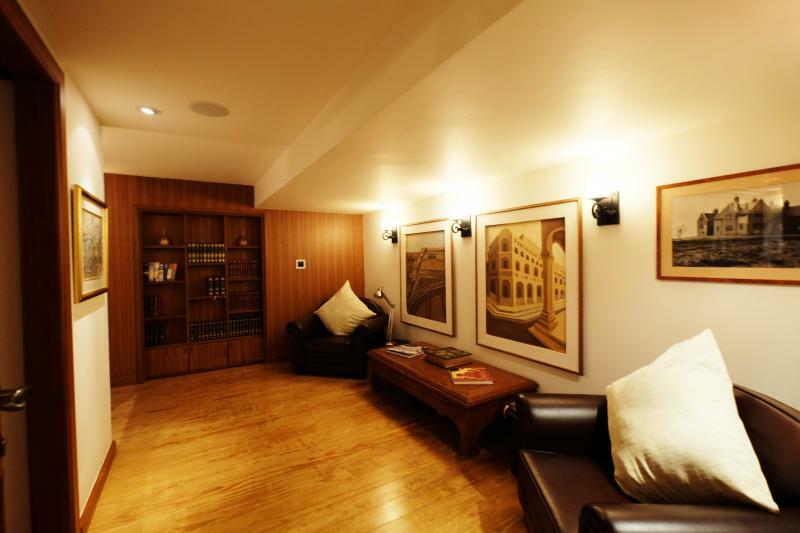 A separate maid quarters with 2 bedrooms and its own kitchen is downstair near the laundry area. 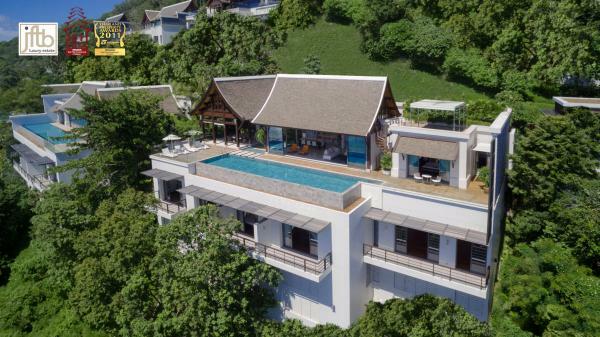 This superb pool villa has 2 main living areas: one with professional western kitchen, dining room, living room leading to the infinity swimming pool and Sala with uninterrupted Sea Views. 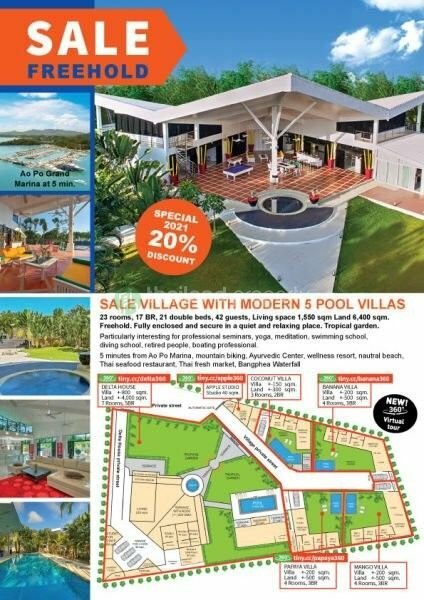 The Second area with bar, outdoor living room, Bbq area, office, fitness room, billiard room, library, finest wine cellar, a cinema and sauna. 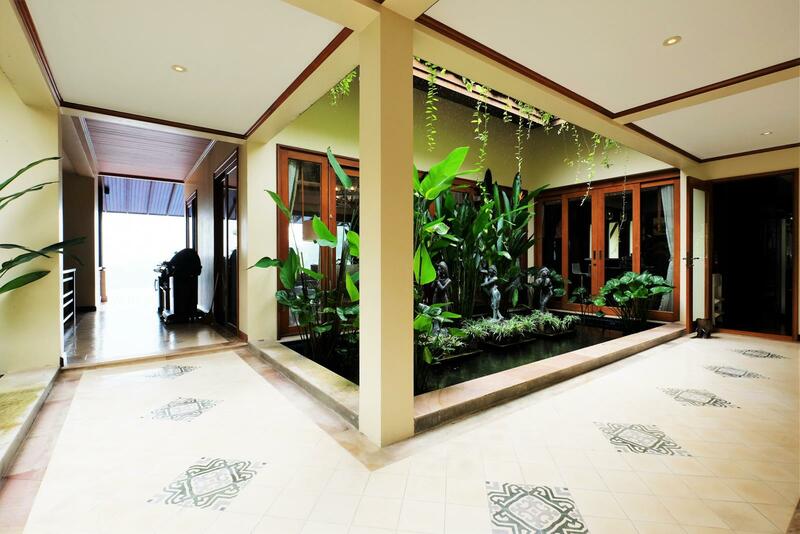 ).The features and facilities are unique and using only the prime international standards. 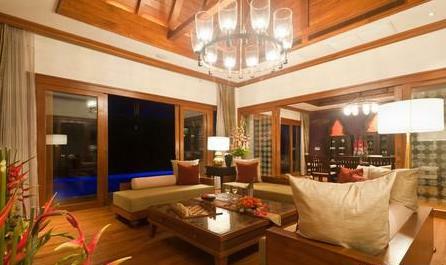 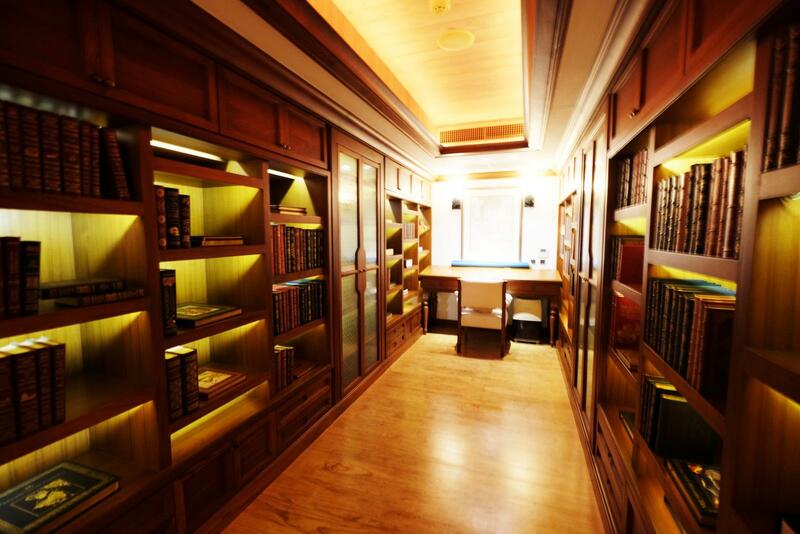 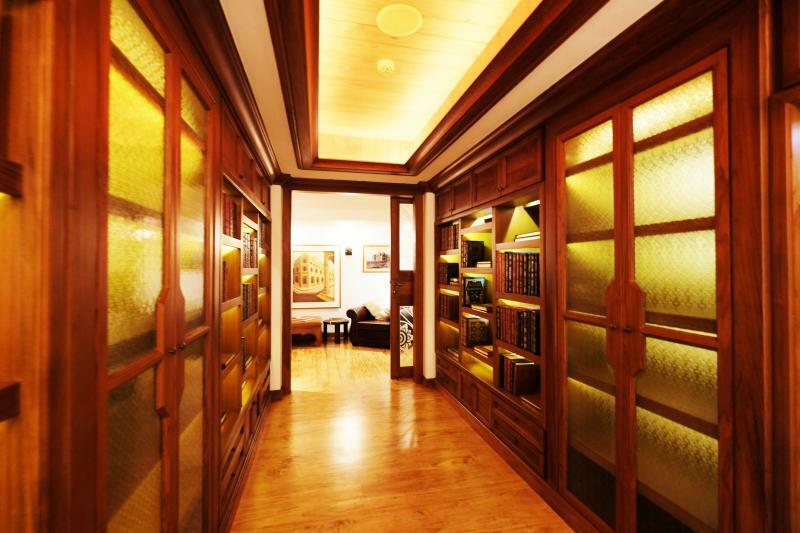 The decoration and furnishings are refined and the attention to details is astounding. 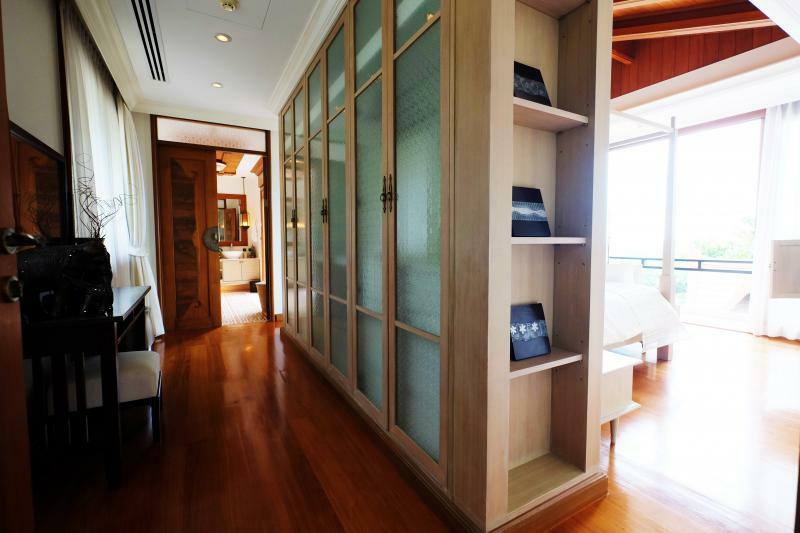 The mix of Asian and Western furnishings and the generous dimensions of each living area will immediately put you at your ease. 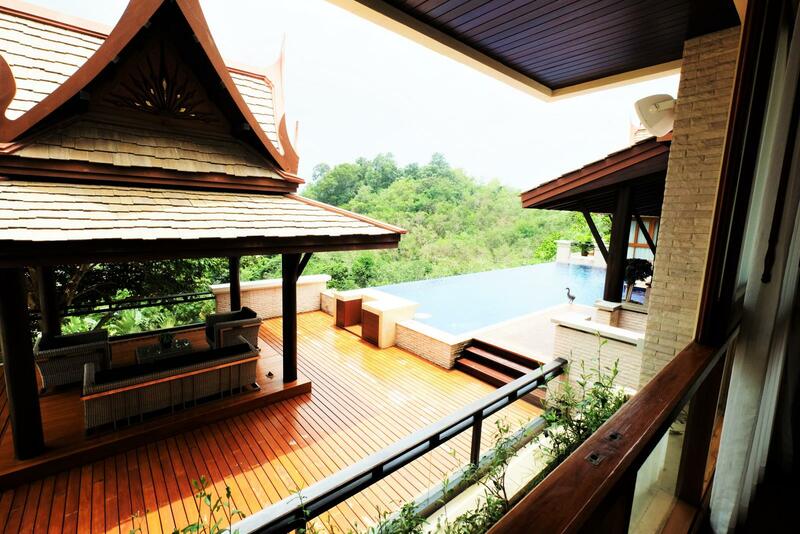 "Home, Sweet home!" 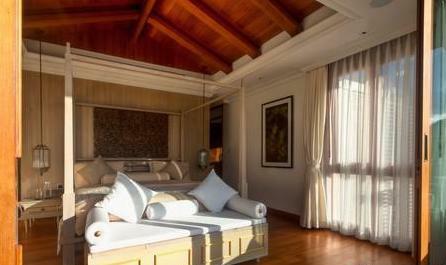 Hidden Hifi sound system through all the villa with independent control panel in each room.